Below are some additional activities that can be used after completion of the sixth mission. These activities are extensions to many other areas of the curriculum. Develop a board game showing how drugs affect the brain and the nervous system. The object of the game could be to match the drug with the part of the body it affects, or to solve problems using the processes of scientific inquiry. Develop or identify a new scientific question or problem and then use the processes of scientific inquiry to solve it. For example, the problem could be how fast your heart beats before and after exercise, or how your tongue knows how different foods taste. Encourage your students to design their own experiments. Build a more complex model of the brain than the one built in Module 2. Use science books or Web sites to find a model. Then use clay or other materials to make a more anatomically detailed model. 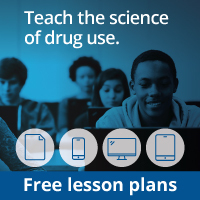 Write a play summarizing what you have learned about drugs. The play could focus on different drugs and what they do, how drugs affect the brain and the nervous system, or why smoking is a bad habit to start. The students may want to invite other classes in the school to see their play.